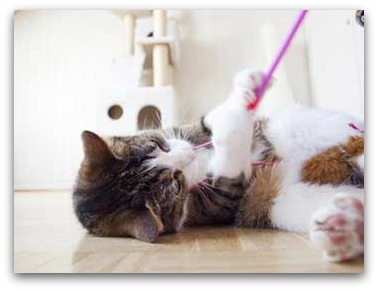 Interactive cat toys are a relatively new option for the cat owner to buy for their cats. Up to now simple balls and feathers on string was pretty much all there was for our cats. But just like everything else there is so much more choice, but how do you know what toys are bets for your cat or kitten? 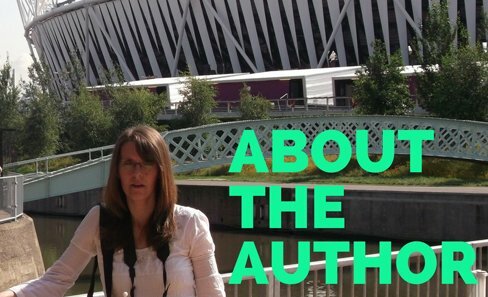 Let's take a look at the differences between them. All of these behaviors come into play when a cat is hunting for its prey. Now even though our domesticated cats no longer need to hunt for food, these basic instincts remain. Most cats who are allowed outside will display these behaviors by chasing leaves, bugs, in fact anything that catches their eye. But for cats who live mainly inside (or for those times when we keep our cats in, say nighttime), they do not have access to something which will stimulate them into carrying out these instincts. A cat who has no stimulus is a bored, unhappy kitty and who may begin to display other unwanted behaviors through frustration such as chewing or scratching furniture. What Are Interactive Cat Toys? 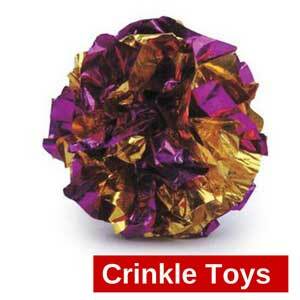 Interactive cat toys that come under this category are designed to stimulate our cats both visually and mentally. Have you ever noticed how a cat can become bored quickly simply because the toy they are playing with does not move anymore? Well interactive toys overcome this problem as they challenge the cat to think and keep the toy in some form of motion. This board has five different areas which stimulate the cat in many different ways, visually, by smell and by touch. The idea behind each area of the board is for the cat to work out how to get to their treats or dry kibble. As each module is very different from the last, it keeps the cat focused and engaged. This toy is also very good at slowing a cat down during eating for those who eat too fast and then throw up, or for those cats that eat too much. Another great toy to help stimulate your cat's brain into trying to work out how to get to their treats. Canisters contain the dry treats and the cat has to work out how to get them out. Basically the cat has to spin the canisters so that the treats can drop through small holes in them, down onto some tall cones where your cat has to work out home to reach the treats. This interactive cat toy stimulated the cats hunting instincts and as it is two parts the cat has to really work for their treats. Cats love to chase mice right? But who wants to find the remains left on the doorstep every day? 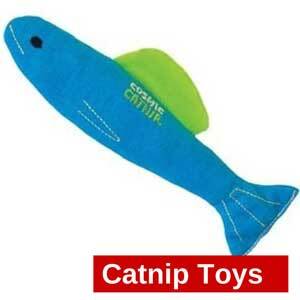 This toy helps to satisfy your cat's urges to chase small furry creatures without the mess. A fairly straight forward toy where by the cat chases the mouse around a small circular tunnel. The cat can get their paws through into the tunnel to bat the mouse around. 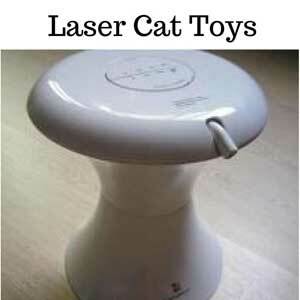 This toy also includes a scratching surface for your cat to sharpen their claws on if they feel the need. For cats who love to hide and ambush things, this three way tunnel is a great toy. Balls can be hidden inside for the cat to discover and attack and if you have more than one cat, a great way to play hide and seek. The tunnels are made with material that makes a crinkling sound when touched, so every time your cat enters the tunnel they will also be subjected to this stimulating sound which will encourage them to play. All in all these interactive toys are great for your cat to play with alone or with you. Cats are very intelligent animals and they get bored easily, these kinds of toys will keep them engaged and happy. In fact I know a cat that loves his crinkle tunnel so much that he won't eat his dinner unless his owner throws a ball through the tunnel a few times first.